Hollywood- "What's your dream." I love that line from the movie "Pretty Woman". Needless to say I am CA dreamin! 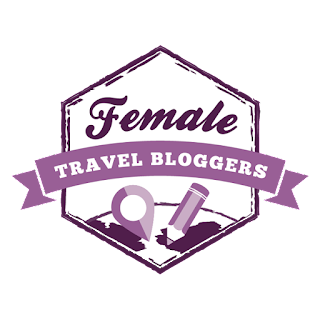 I'm so excited travel season is almost here! Southern CA is one of my destinations this summer, so I am in outfit planning mode! 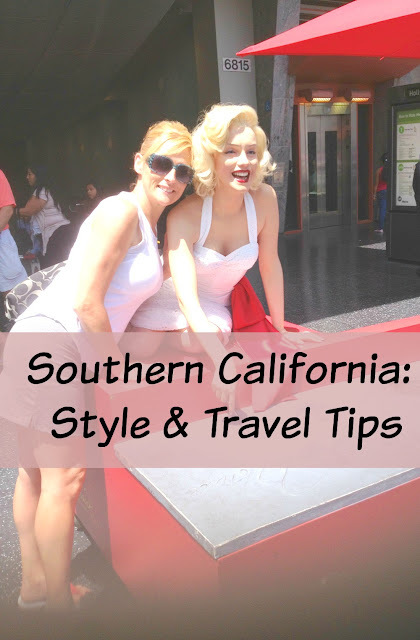 I was asked by Farfetch to participate in a contest and create an inspirational outfit guide of my choice: So I am sharing a short outfit guide and a few travel tips for a vacay in SoCal. Who likes road trips? I absolutely love them! Air travel is my1st choice of transportation, but road trips can be so much fun! Travelling long hours on the road can get really old fast. For me, being cool and comfortable is the number one goal. Being comfortable on a road trip does not mean you have to throw style out the window ( ha no pun intended!) Cute printed shorts with a little stretch in the fabric, a bandeau , and sheer top is my idea of casual and comfy chic. Throw in your favorite pair of sunnies and you are CA ready! I am totally loving the cat eye sunnies trend! 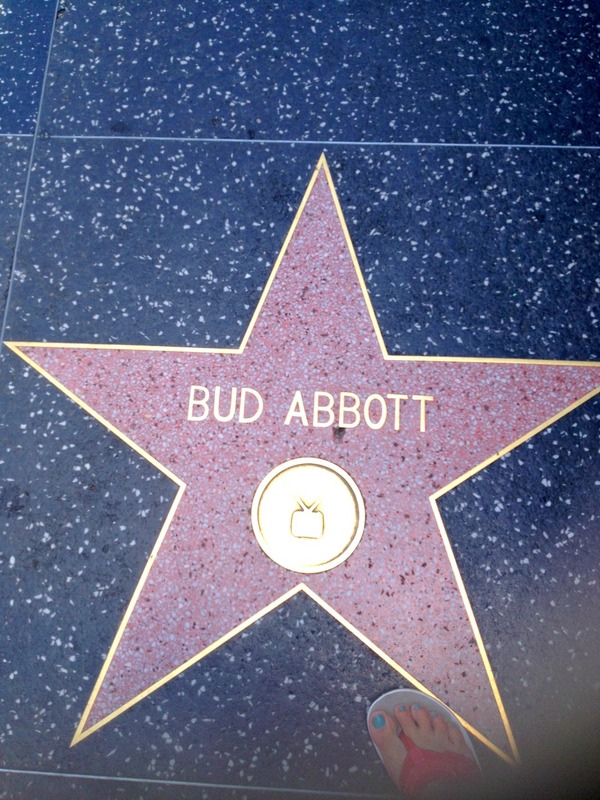 Usually the first stop upon arriving in CA from a long road trip is Hollywood and Rodeo Drive. 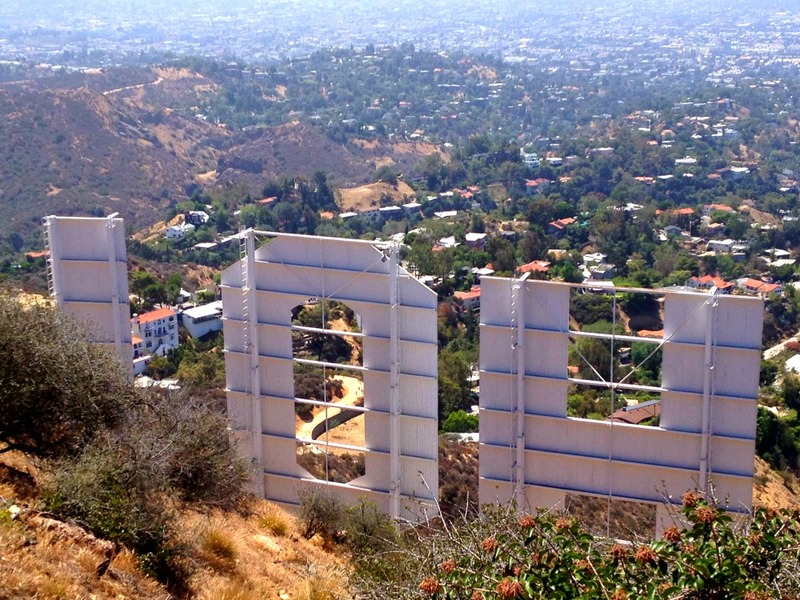 Last time I was in CA, we decided to hike up to the Hollywood sign. I still can't believe I was on top of the world up there. It was the most exhilarating feeling, and the view was amazing! This is my favorite shopping place in California. Oh my, it is so hard to be disciplined with all the tempting finds! Everything there is mostly out of my league far as price range, but it's fun to window shop anyway! My last visit there, I actually found a few affordable shops and purchased some items. 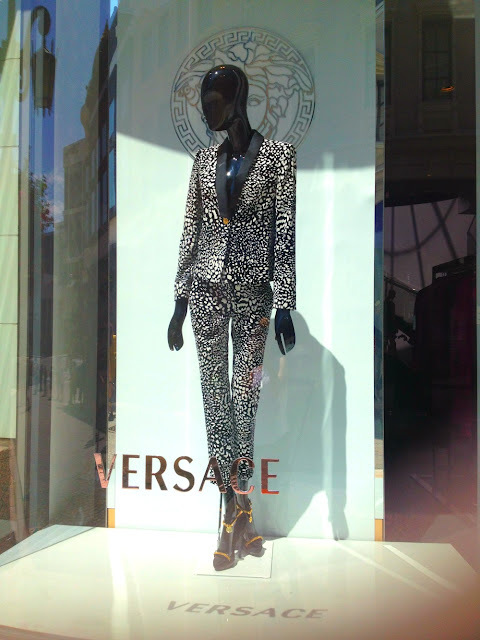 Spending time on luxury lane calls for more of a sophisticated type of outfit, even if you are just window shopping. You can certainly pull one together without spending a lot of money. Looking like a million is achievable with all the "mastige" brands on the market today. Mastige is simply- prestige made available to the masses. Sometimes spending more on one staple piece is worth it. Then you can build your outfit around that piece with other items that cost much less. Another favorite spot in SoCal . I love to take a stroll on the walk of fame and read all the star's names. On this street you can definitely get another fashion fix. The selection of eclectic shops are endless. People watching is also big entertainment, ya just never know who you might run into! Even though the summer heat is dry in CA, it can get quite intense. A skort made of stretch cotton blend is my go to piece, and a lightweight tank top. Alright the best is saved for last, the very scenic CA beaches. I could totally live the beach bum life! You could visit a different beach each day, and take several weeks to cover them all. 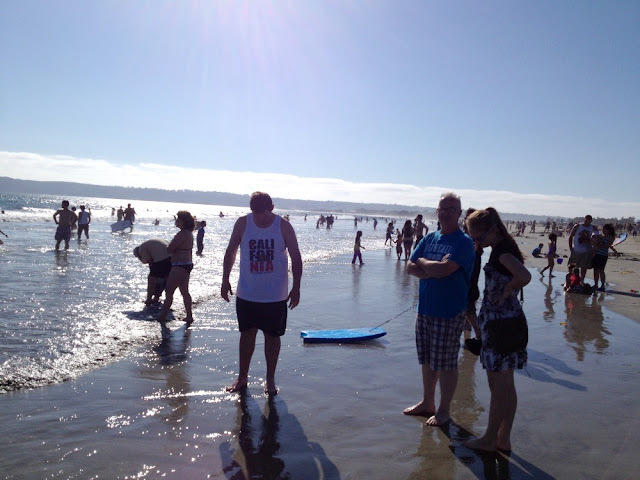 My favorites are Coronado Island, Huntington Beach, and La Jolla. Santa Monica is very scenic too, with a carnival on the boardwalk. Most of the beaches in CA do not have warm water, so you may freeze your hiney off in a bikini! If you can brave the cooler temps, a one piece would be a better choice. I spend most of my swim time at the hotel pool. A Stunning Beach Palace, and a must see If you can, take additional time to go inside and look around the hotel. It's so magnificent and pretty. There are shops inside, and places to eat. I found the water here to be the warmest of all the CA beaches. It is definitely tolerable, but if you like toasty ocean temps- you will have to head to Hawaii. The U.S. Open of Surfing happens every year at this beach. It is the world's largest surf competition and lifestyle festival. 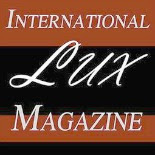 Each summer, over half a million people attend this event. The water is freezing here, but the scenery is to die for! A peaceful quite cove. This was the least crowded beach of all. 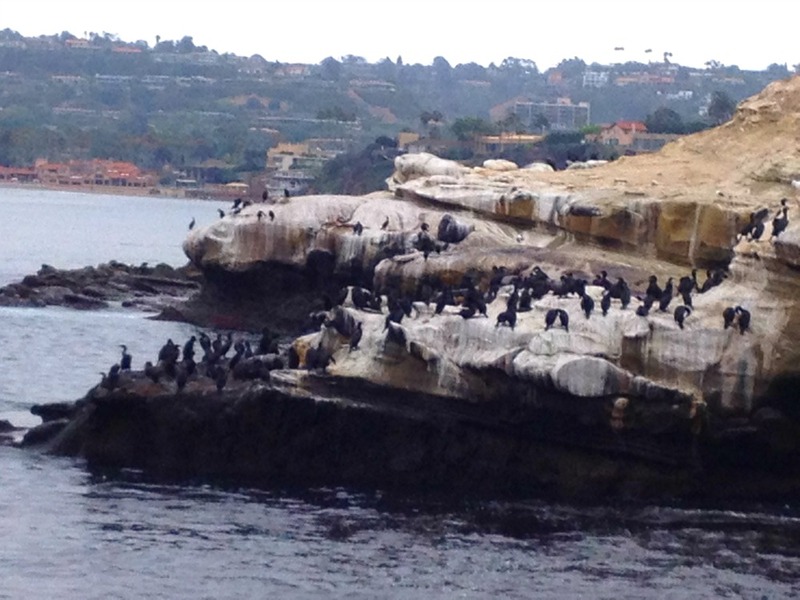 There were a few people around, along with lazy seals and birds hanging out on the rock cliffs. I hope you enjoyed the lil tour of Southern CA and the outfit guides. What is your go to outfit pieces for a warm weather vacation? Where are you traveling this summer? I would love to hear your travel plans in the comments. Have a wonderful week, be blessed! Follow more of my travel and style adventures on Instagram and Twitter. Thanks for taking time to stop here! Pretty photos! it looks like you had a great time. I'm loving some of the one pieces you posted! Thank you Chelsie...yes and I cant wait to go again In July, CA and HI are my fav spots! Have a great week and thanks for stopping here! We visited California last summer and it was so beautiful! I love your outfit choices - especially the tank and skirt option! Thank you so much..CA is just so dreamy isn't it!? I want to live in San Diego, such a paradise! I love all these looks, that chug life water bottle is so funny and I love that black one piece bathing suit you featured! It looks like you had an awesome time!! Ha glad you liked it..It is kinda funny! The black one is my fav too! Have a great day Lauren! Love the La Jolla beaches with the seals. Looks like you had a fun vacay! Thank you Andrea...La Jolla is so gorgeous, thanks for stopping by! Hi Aishwarya...true seeing the landscape on the road is much more exciting..I just like getting there fast! Thank you! Great post, perfect So.Cal. looks! Living in AZ, the hubby and I often road trip to Cali, so I may need to use your itinerary for our next trip. AZ if the beach was there! Glad this could help plan for your next trip! I love all the outfit ideas depending for each California spot. I'm from California but I feel like I always see something new. Thank you Sweet Adrianna...you have to hook me up if you make it there first..I want to move there so bad..I did 4 years of college in central CA.. I feel like California is perfect for road trips. I'm rarely the one to suggest a road trip but those scenic views could easily change my mind. I also love traveling cute and comfy!! Hey Roxy...CA is the best for road trips..so many fun stops to make!! One of my favorite posts of yours sweet Valerie! You nailed the outfit ideas, look adorable with Buzz and I LOVE that white dress! You're such a doll!! Thank you MS. Doll Andrea, I always smile to see you here...have an awesome week...and take care!! THank you Angela..Have a great day! Lovely pictures, Val! 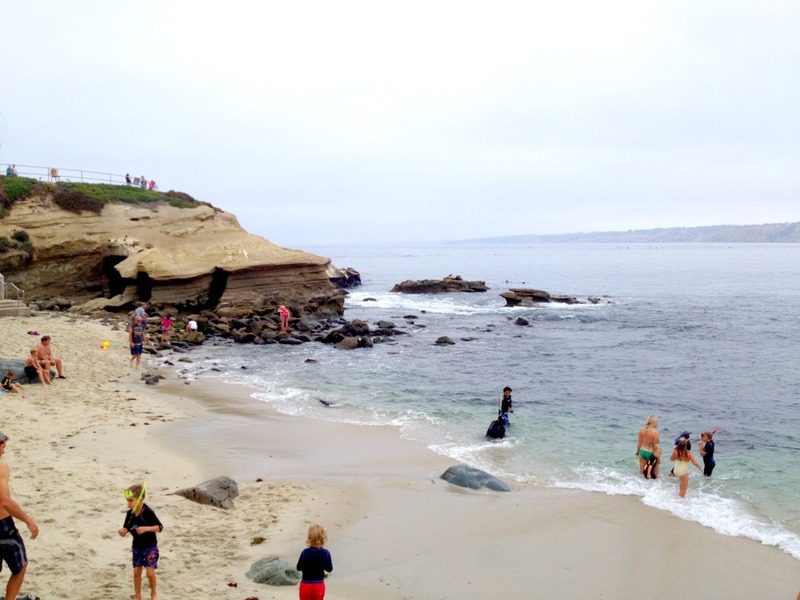 La Jolla is my favorite place, its just so beautiful out there. Great outfit ideas and I am so excited for your upcoming trip to Cali. Hey KUssum, Ms. Doll, thanks for stopping by ..yes CA is one of my fav places to visit..see you Sat..cant wait! What a fun trip!!! I loooooove CA! Love that white dress!! It's the perfect beach coverup!! 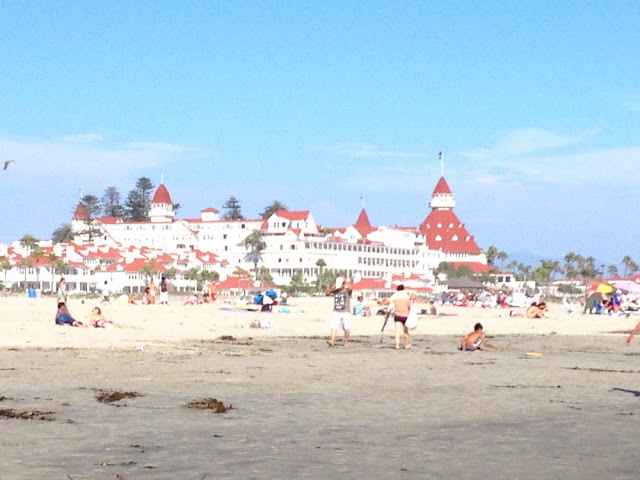 I've always wanted to stay/check out the Hotel Del Coronado. I played a tennis tournament on Coronado Island once, but I didn't have much time to check anything out!! Thank you so much Sara...! I have never stayed there either, I would so lOVE To, thanks for stopping by! You look like your sister in that top photo. ;-) Thanks for sharing. We were in Santa Monica last month. Gotta love those SoCal beaches! Hi Dominic..Thank you so much for stopping by and the kind words..yeah Santa Monica is the bomb..I love that place! Some of those one piece suits are super cute! Thank you Katrina..I wish I had them all! Thank you Angelle! I love it there...wish I could go every month! Thanks for stopping by!! 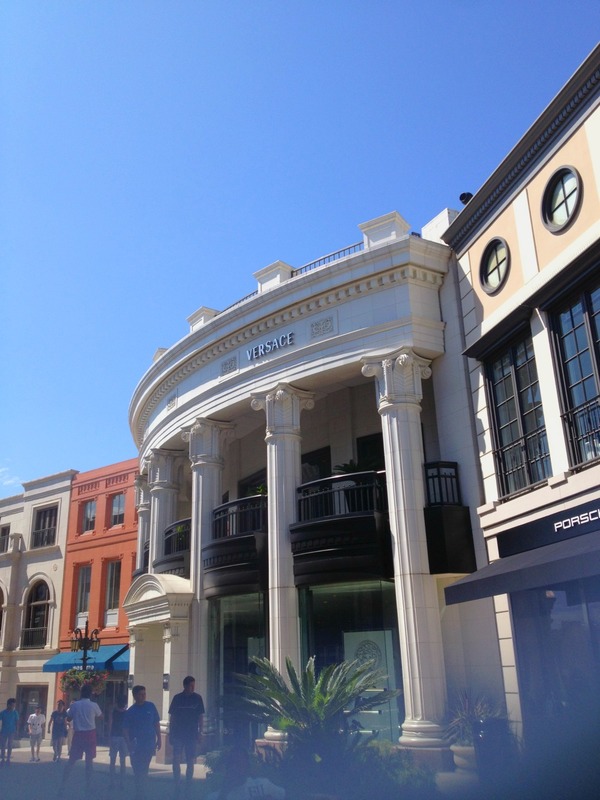 Loved shopping on Rodeo Drive when we were there. So much fun. I love the outfit with all of the pink. Would be really cute. Rodeo drive is a blast..wish I had a bigger wallet to indulge there..ha ha.thanks for stopping in! Southern CA is one of my favorite places to visit! My extended family lives there so I'm lucky to be able to go often. Love all the outfits you chose - just perfect! Hi Lana, lucky you to have family there! I have tons of friends,and a cousin in San Jose, but none in So Cal. I can't wait to go this summer again! thanks for stopping by! 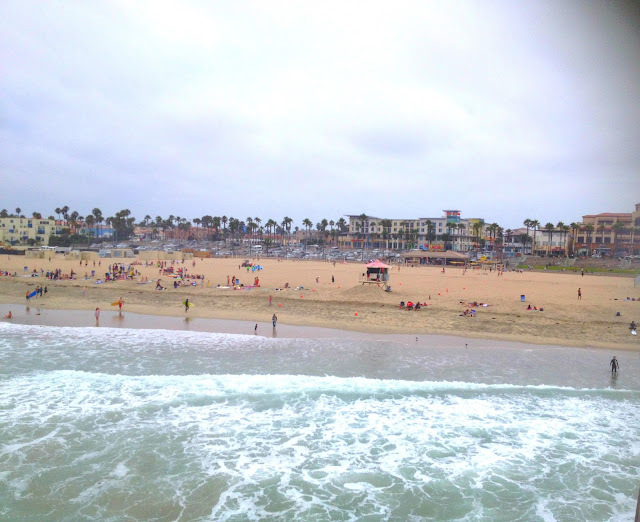 Huntington beach can get quite crowded but I love it anyways. I love watching the surfers do their thing but the water is waaaay to cold for me to go in and give it a go. I only like warm weather surfing! Hey Anna, the Water gave me a big shock for sure..ha ha..not for swimming that's for dang sure! I would love to watch that surf competition, it was just about to start when we leff! I would like to learn to surf! Thanks for stopping! Thank you Tracy, thanks for stopping! Love this insight into some lesser known beaches of Southern California (for an Aussie anyway). I'd love to see the seals at La Jolla and am coveting those pink trainers! Hey Katy, I would love to see the Aussie beaches! A huge desire of mine..I hope to make it happen! Thanks for stopping by! Good Morning Natasha! I sure hope you get to go! Take care! I hope I can go to Southern California one day! Comfort is defo key on the road, and you are so right I love those cat eye sunnies! Will be looking for a pair myself! I sure hope you can too! It is a lovely paradise! I love this! I never know what to pack when I go somewhere new, so this is an ideal mix of destination and outfit tips. I really hope I make it to some of those beautiful beaches - they look divine. Thank you Rachel!! I hope you can make it too, you wont want to leave..paradise!! Hi Susannah..I sure hope you can, it is so much fun , I never want to come home! When you kids get a little older..then its easier! You are way more fashionable and coordinated then I would ever be ha ha. The outfits are super cute and I love the locations you have chosen. La Jolla is gorgeous! Ha Thank you Chantell, you are funny! La Jolla is lovely, breathtaking scenery! Glad you stopped by! Nice outfits that you have highlighted. Like the different swimsuits you have going on. You'll have a great time in SoCal. Lovely weather and great sites. Have fun! Thank you so much!! I cant wait to go again....I would love to move there, this Seattle rain gets old in fall and winter! Nice outfit ideas! !I'm in love with that black one-piece! I hope you have a great tie in SoCal! Thank you Taitana , glad you liked it! Thanks for your tips. 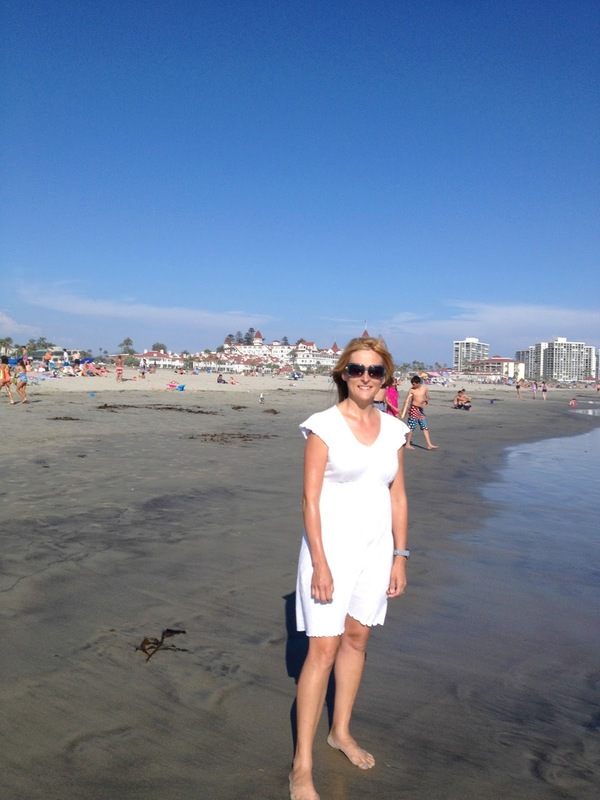 I loved La Jolla beach I was visiting few years ago. La Jolla is so gorgeous, thanks for stopping by!! 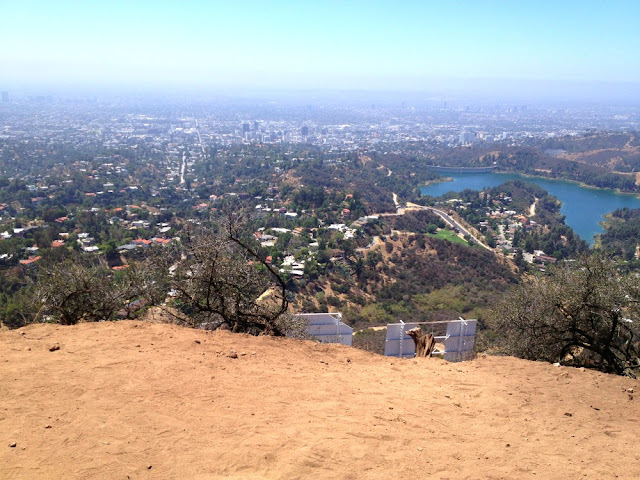 Ahhh LA! I loved it! I didn't want to leave. Love the bathing suits and bikinis you featured! THank you..SoCAl is one of my fav places ...cant wait to go again..glad you stopped by! 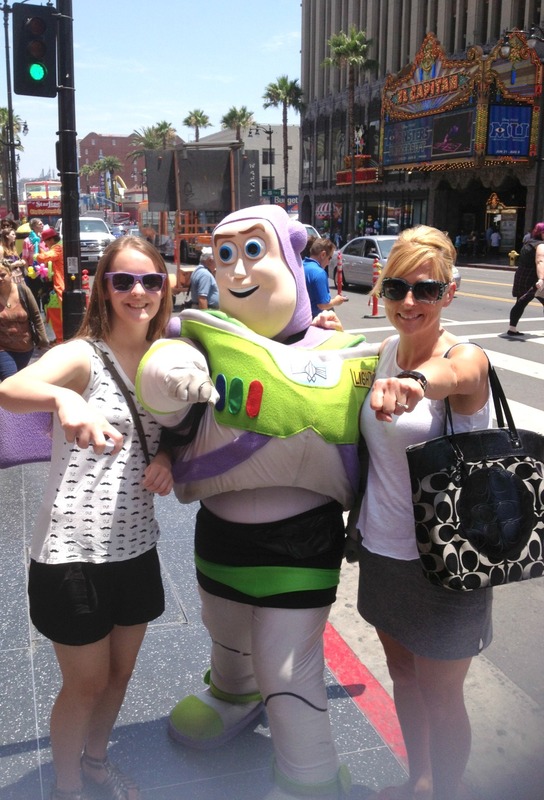 Lovely photos and lovely outfits :D hope you enjoyed your LA stay! Thank you so much Renate...I am glad to stopped by..enjoy your week...I always love to Go to LA, going again soon! I like the way you paired styles with each activity on your trip. That is such a helpful way to organize trip planning and packing. Great article and teaching tool! The Beverly Hilton has the largest pool and the lowest room rates. But the best lunch is at Hotel Bel Air. Or visit the "station of the stars" and tell Robert that I said hello. You might leave with a full gas tank in your car and a memory of meeting someone you last saw on the silver screen. Many tourists visit Universal Studios and have a great time. 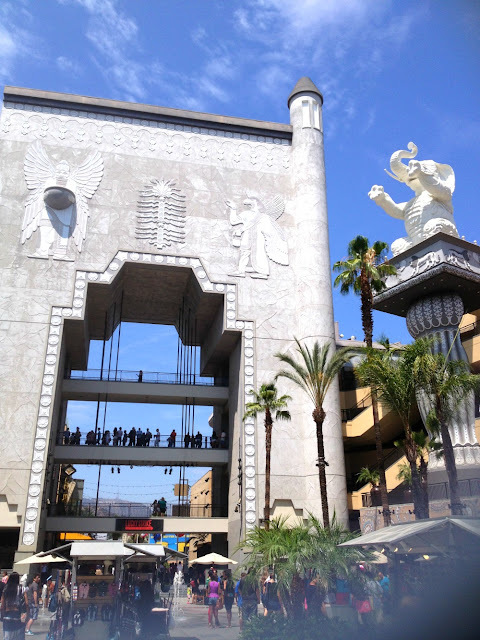 For a less touristy tour, try the Warner Brothers tour. All tour and no rides. For walk on the wild side, check out La Brea tar pits where the dinosaurs are so cool they have sun tans. Our favorite pier is down at Redondo Beach. Dine right on the ocean or pick an oyster for a pearl inside. 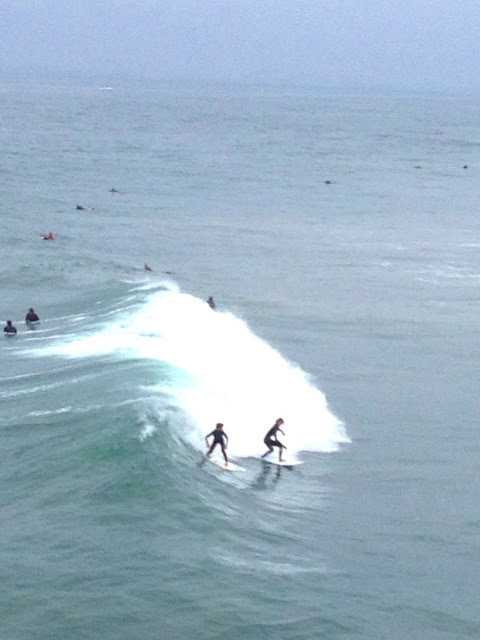 Manhattan Beach has good vibrations and some unique shopping, not to mention the best surfing. Hey Scott...Yes you know all the best spots..You should start a Beverly HIlls Blog! Ha! I lived in LA for 12 years. It's always interesting to read people's thoughts on it. I'm totally one of those unfashionable travelers haha. Mostly because I'm out in nature getting dirty or traveling long distances in less-than-ideal circumstances. I appreciate your tips though! I'm headed to Dubai before I set out to trek in Nepal - I tried to get a couple of cute outfits appropriate for where I'll be. :). Dubai.?? I am dying to go there!! Thanks for stopping by! The bar is set high for all the bloggers out there.